Energzied Kali Haldi is one of the best and rare items used in Ayurveda and Astrology (Tantra). Its origin, taste and looks are similar to yellow turmeric except it is black (Dark Browm) in colour. It is found is Mandla plains along Narmada river in MP and Bastar. It is available in market by the name of Narakchoor. It is one of the important plants. 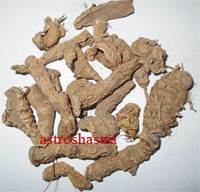 This Siddha Black Turmeric is use for Tantra Sadhana, Bhairav Sadhana, removing blackmagik, Tantra problems, evil problems. It also has antiseptic properties hence is very powerful and give defense power in our body. It spreads positive vibrations and absorb bad vibrations so it is widely used in Sadhana. Especially while one want to do Kaal bhairav Sadhana or kali Sadhana this black haldi is extremely powerful. Energized Siddha haldi gives very good result in protection from evils. It is usually useful to expand business or to get promotion. The leaves of haldi have a deep violet-red patch which runs through the length of the lamina. Usually, the upper side of the leaf is rough, velvety, but this characteristic may vary. Flowering bracts are green with a rustic touch. Flower petals may be deep pink or red in color. The inside of the rhizome is deep-blue or bluish-black in color. The rhizome slightly resembles the light-grey rhizome of Curcuma Aeruginosa. The rhizome has a bitter, hot taste plus a pungent smell. It is claimed to be helpful for treating Hemorrhoids , leprosy, bronchitis, asthma, cancer tumor, HIV/AIDS, epilepsy, fever, wounds, impotency, fertility, menstrual disorders, toothache, nausea etc. Devotes of Maa Kali or Lord Ganesha must perform puja to small idols made by it along with Rudraksha Mala, or you can keep them in pocket for your protection. 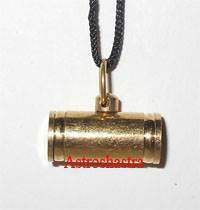 You can also get them made in silver or Gold pendant and wear around your neck. According to ancient text, there is very effective remedy to get protection from evil Eyes and the sure shot remedy for happy and prosperous life. According to ancient text "Ganesh Ank" , in kalyuga Lord Ganesha and Maa Kali are the two supremes , who can give immediate and effective results to a person who pray to them with their hearts and soul. 1. It protect the wearer from evil eyes and black magic. 2. One gets protected from evil forces and Ghosts. 3. It is helpful in treating Hemorrhoids , leprosy, bronchitis, asthma, cancer tumor, HIV/AIDS, epilepsy, fever, wounds, impotency, fertility, menstrual disorders, toothache, nausea etc. 4. Energized Kali haldi idols kept in puja ghar or worn as pendant are one of the most auspicious lucky charms one can have, as they strengthen the aura of place where it is kept. 5. It removes the negative energies.